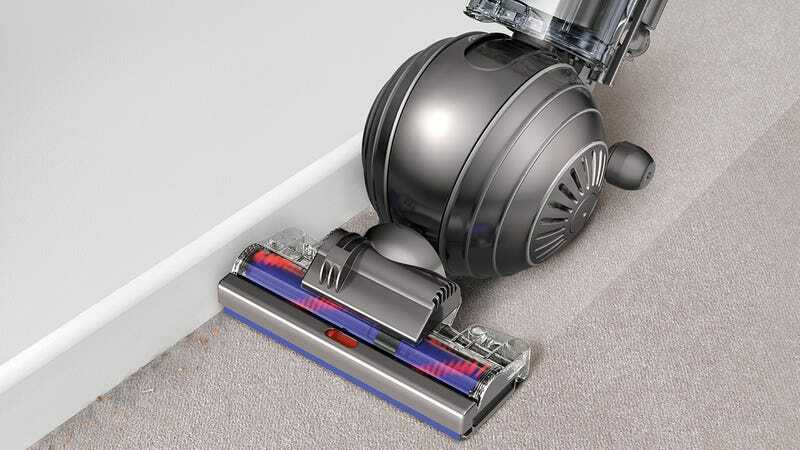 A Dyson is promised to keep on sucking at almost full power even as its dirt bin gets full, but few users realize there are also hidden filters that need to be periodically cleaned to keep the vacuum running at full strength. For a company that prides itself on vacuums that never lose suction, that was a big problem. So to ensure that users won't ever forget to clean those filters, Dyson simply engineered a better vacuum design that eliminates them altogether. The use of cyclone technology to trap and funnel dust and dirt helped Dyson get rid of the traditional disposable vacuum bag decades ago. And over the years the company discovered that the smaller a cyclone you can create, the stronger the centrifugal forces it will be able to generate to help efficiently capture tiny particles. That's why the most recent models of Dyson vacuums feature multiple smaller cyclone chambers. However, when those cyclones get too small and too tight, they can end up clogging with dust that blocks other debris from passing—and that hinders suction. In previous Dyson vacuums the solution was to use a filter to capture that fine dust and prevent it from getting to, and clogging up, the cyclones—however that was really more of a compromise than a solution. But with the company's new Cinetic Big Ball, the need for those dust filters has finally been eliminated. How? With the addition of flexible oscillating tips on the cyclone chambers that vibrate 350 times every second to dislodge dust as small as 0.5 microns in size so that it's directed into the dirt bin instead of clogging the airflow. It sounds like a rather simple improvement, but Dyson is a company that's well known for its extreme testing and prototyping of new products, and the development of the Cinetic technology was no different. Over a six-year period a team of 29 engineers at Dyson spent $12 million and built over 2,000 prototypes to ensure the new filter-free cyclone technology worked as promised. The vacuum's suction capabilities were tested for about 9,000 hours, and Dyson spent just over $200,000 on dust alone to make sure clogging was no longer an issue. It makes you wonder how much profit there is to be had on the dust that collects on your parent's TV in-between visits home. The latest generation of Dyson's vacuums featuring the new Cinetic technology will be first available through QVC starting on January 15, and will arrive at other major retailers a few months later on March 1. A canister version will be the cheapest model at $550, while the upright Big Ball version with both animal and allergy accessories will fill the role as the premium model for $700.